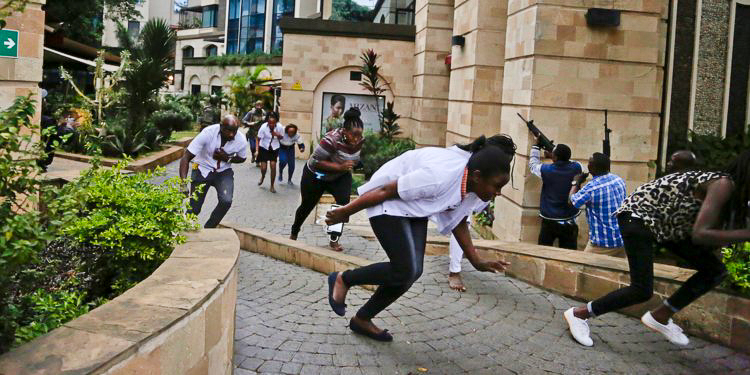 A number of testimonies came from the January 15 terrorist attack in Nairobi, Kenya. First, VGR had a number of representatives staying in a nearby hotel when the shooting started. The brothers were actually looking to stay in the very hotel that was attacked, and they would have been inside the hotel at the time. Little did we know that another believer was present during the attack, and the same Lord Jesus that had mercy on us, had mercy on this brother. Even more, the Lord used the situation to continue to work on the heart of this young man. His mother writes the following testimony. God bless you saints. I want you to thank God with me for saving my son, Ronald, who was caught up in the melee of Tuesday's (January 15th) terrorist attack that happened in Nairobi, Kenya at a building where he works. Ronald went hiding with his colleagues. Some hid in a small room under the stairs, and Ronald with another colleague hid behind a door in the toilet. Ronald kept updating us on text as the terrorists advanced office to office, until they reached where my son was hiding. By this time, I'd sent urgent prayer requests to some saints. One terrorist pulled my son's colleague from behind the toilet where they were hiding together, shot him dead, and the terrorist never came back for my son. Either God blinded the terrorist, or He made my son invisible to them. This remains something I'm not yet able to comprehend, but the prophet taught us that God works in mysterious ways, His wonders to perform. I request saints to continue remembering my son in prayers (to commit his soul to Christ) as this is his second shooting incident, where the first encounter was in January, 2015. In this incident thugs targeted the public service vehicle he was traveling in. The thugs shot on the vehicle, and my son was hit by a bullet which fractured his thigh bone. His leg has since healed. Then God gave him a job at Cellulant where terrorists attacked on Tuesday and left six of Ronald's colleagues dead.